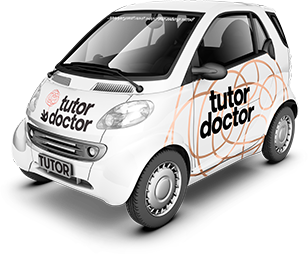 At Tutor Doctor we understand that the magic ingredient to your student’s success is finding the right tutor. It’s not enough to find candidates with the right qualifications; our tutors must have a passion for what they do. We have instituted a rigorous multi-step recruitment process. Each recruit must undergo a criminal background and reference check, and several interviews and tests before being accepted. Tutors are trained to offer the most comprehensive help to our students possible. They have a range of resources to draw from as well as support from their tutoring franchisee and the home office. As one of the Premium Tutoring Franchise, we provide a bunch of highly qualified and experienced tutors to deal with children. They’re passionate: Above all else our tutors care about education and the students they help. For us, caring and compassion is as important as academic achievement. They’re collaborative: Our tutors work with teachers, parents, staff and students and keep the lines of communication open to best facilitate your child’s changing needs. They’re consistent:Our tutors are reliable and come to you at a time that best suits your family. They’re tried and tested: Our multi-step recruitment process ensures that you get the best and our continuing support means that our tutors are always getting better. Whether your background is in general business, sales and marketing, current or past business ownership, teacher, the military, IT, financial or health, if you follow Tutor Doctor's proven system, you will build and expand your client base, and achieve recurring revenue streams. Our process is geared toward guiding you along the path to independent profitability!